Sounds great, quit your job and host home parties to make a living. That’s what Touchstone Crystal claims in their brochure. I bet your thinking the same thing as me. Is this the Touchstone Crystal scam? Anytime a company makes an outlandish claim, we start suspecting it’s a scam. I’m going to review Touchstone Crystal and give my opinion on if it’s a scam. There will be some things about Touchstone Crystal that will surprise you at least I was surprised. Touchstone Crystal is a jewelry company that has chosen to use the multi-level marketing (MLM) business model. The jewelry being sold is from Swarovski. I find it very surprising that an MLM would have such a reputable, high quality product who’s company has been around since 1895. Swarovski has approximately 2,680 stores around the world selling their jewelry. Kinda hard to believe in the Touchstone Crystal scam with such a great company behind them. The concept embraced by Touchstone Crystal is to host home parties. You invite your family and friends over to your house and you spend the evening discussing and looking over your inventory of jewelry. Whenever a company uses the promote to family and friends concept, you do start thinking “Is Touchstone Crystal a scam?”. With any MLM, there are two ways you can earn money, selling the product and recruiting. With Touchstone Crystal, you are selling a high quality product that is in demand around the world. We know this because Swarovski is selling their products in 1,000’s of stores around the world for over a century. According to their brochure, Touchstone Crystal pays their consultant a 25% to 45% commission for every product sold. The second method to earn is recruiting consultants for your down line. You’ll earn a 9% commission on all the sales from the consultants that you have recruited. As you build your down line, you’ll earn a variety of bonuses to include a BMW car allowances. Can You Sell Jewelry With Home Parties? Earning a living by hosting parties sounds great doesn’t it. I’m sure with the first several parties, your family and friends would be happy to attend and may even make some purchase. Now be truthful with yourself, how many parties are they going to be willing to attend when you are trying to sell them every time. Do you have enough friends to hold several parties per week? You’ll need several parties each week to be able to make enough money to earn a living. What happens when your family and friends stop attending your parties? This will happen eventually. Who else will be willing to attend your parties? You need some one to sell to if you are going to continue to earn money. This is where the home party concept falls apart. 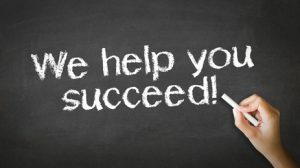 You could recruit your family and friends as consultants. They will eventually run into the same problem. So they’ll need to recruit their family and friends and so on. Another problem is that many of these friends and family will not be as enthusiastic about the business opportunity as you are so they will give much more quickly. They may end up with only one party then give up. It’s possible that they will not earn anything. They may even believe that you have scammed them or starting complaining about the Touchstone Crystal Scam to all their friends. Whats It Cost To Get Started? The entry cost for Touchstone Crystal is really low. They have two entries point. The starter kit contains 8 jewels valued at $600 for $139. The enhanced kit contains 13 jewels valued at $850 for $299. I’m guessing if you want to make some serious money at your home parties, you are going to want to much more inventory on hand than these starter kits have to offer. 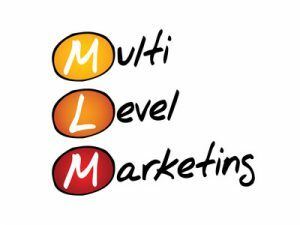 Many MLM’s require an auto-ship to maintain your status within the business. I have not found anything like this with Touchstone Crystal. What I did find is that you have to complete $300 average sales over 3 months to maintain your active status. What does it mean to lose your active status? Unknown, I did not find anything that explained what maintaining an active status meant for your business. Typically with other MLMs, it’s related to what bonuses you’re eligible to receive. Is There A Touchstone Crystal Scam? Touchstone Crystal has a high quality product backed by a very reputable company. Their compensation plan is reasonable and straight forward which is very good for the MLM industry. My conclusion is that there is no Touchstone Crystal scam. They are as legit as it gets in the MLM business. 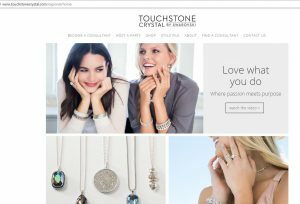 Is Touchstone Crystal A Good Business Opportunity? A definite NO. They have a great product that is popular but the business model is terrible. With the home party model, it’s inevitable that you’ll run out of potential customers. Once your family and friends stop buying your jewelry, who are you going to sell to next. Of course you could take the great product and do your own thing. I don’t know what kind of restrictions they may have in doing something different than the home party concept. That is something you would need to research and/or ask about before jumping in. Would you be interested in a business model that has unlimited potential customers? Where you can work from home? That allows you to chose from 1,000’s of products? No need to build your own product? Able to sell some of the top name brands in the world? Let me know in the comments below your thoughts about these questions. This business model is known as affiliate marketing. 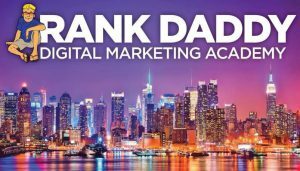 There is a great education platform that will teach you everything you need to know to start earning money in affiliate marketing. 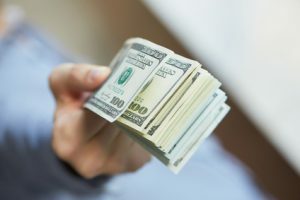 Check out my Wealthy Affiliate review and how you can try out the platform at no cost and no risk (no credit card required). Could you also sell the products through social media? Otherwise like you said you are going to run out of friends pretty fast. I never really understood how this business model can provide a stable income. Plus why people would buy from you and not from one of the thousand stores Swarovski has. Social media could be a good way to sell the products. I don’t know what type of restrictions that Touchstone Crystal may have on selling their products. I agree, why buy from a consultant when this name brand is sold in 1,000’s of stores. As a consultant, you have to realize that those stores are also your competition. Those stores can also carry a lot more inventory than you can. When you start thinking in this way, you have to start wondering if this is a scam. I couldn’t agree more that Touchstone Crystal has a terrible business model. You would think they would create one that would match up to the quality of jewelry they were selling. Yes you may increase your customer base by using social media, but when those people have a bad experience with the Touchstone Crystal (which a great deal is bound to have), it will reflect badly on you. I was very surprised when I discovered this company. How could such a high quality jewelry company that has been around for over 100 years chose to go with such a bad business model. I’m guessing it’s the money. The company which holds those top spots in the pyramid that make all the money. Seems risky because they could damage the brand name. But I’m sure that’s why the MLM company has a completely different name than the jewelry company to reduce the risk of damaging the brand name. Hey Steve, I really liked your review on this Touchstone Crystal thing. Thanks for this. This further strengthens my belief on MLM companies. I liked what you said, and this is what I say when people ask me to join such companies. It is that Touchstone and other companies are not really a scam but they are working on a business model is inevitably going to fail. I wish they would make this business model illegal but it’s not. So unfortunately a lot of people have and will continue to lose a lot of money with this business model. All I have to hear are the words MLM and it’s a turn off. Can you imagine always asking family and friends if they want to buy or sell jewelry? How awkward is that? It always starts with people you know and then friends of friends until you get discouraged and quit. I hate recruiting and I’m sure most people do. Thanks for your in depth review of this jewelry MLM. I will be saying no thanks to them. Really well done, keep up the great work. Thanks Peter, actually I’ve been there and done that. I’ve been a member of a couple of MLMs so I’ve done the awkward asking of the family and friend to buy things. It’s why I’m online writing about MLM’s in the hope of preventing others from doing the same.